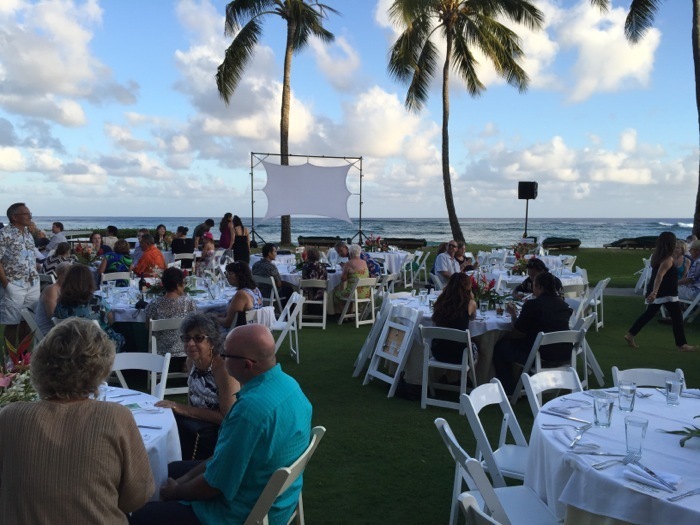 It was a beautiful night at the Sheraton on May 16th. A gentle breeze and the beach just behind the stage made a lovely setting. 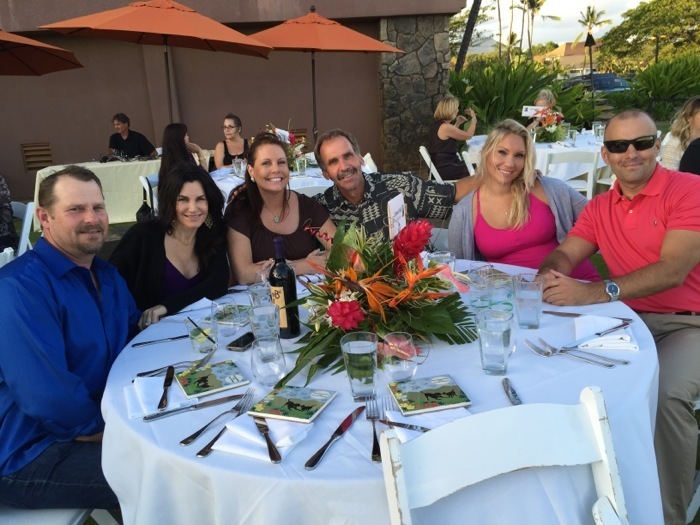 It was a nice opportunity to catch up with friends and meet new people as well. 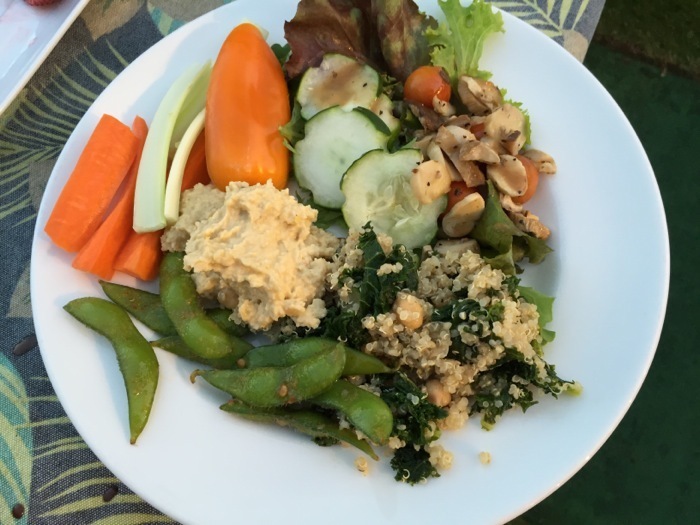 Healthy first plate. No complaints about the food. 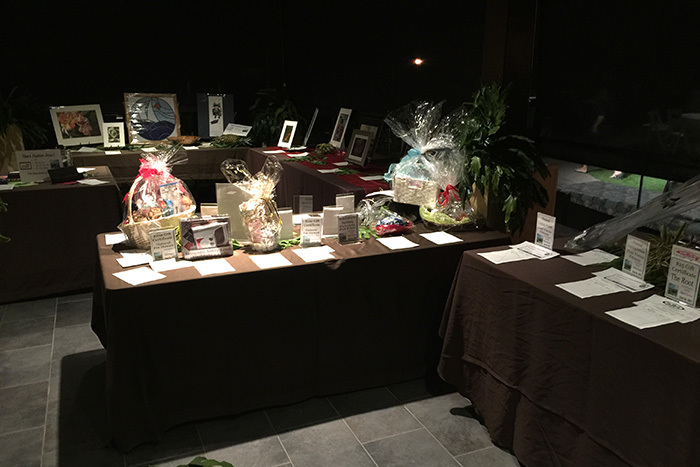 Earthworks Pacific Table at Paws for Celebration. 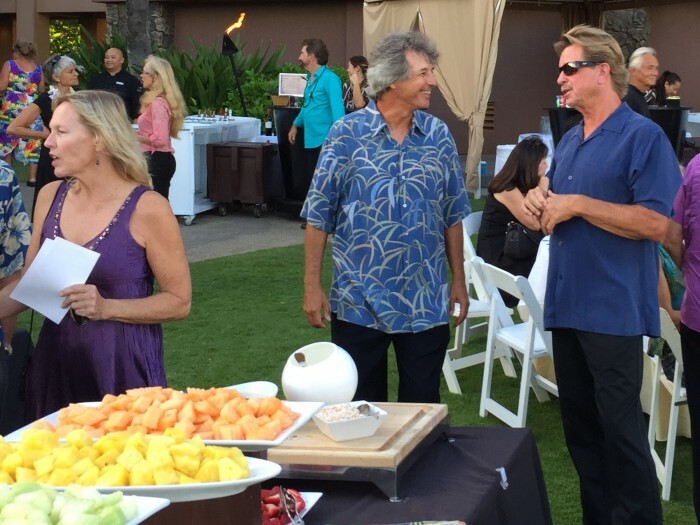 Owner, Jeff Fisher with his wife Meredith and daughter Samantha. 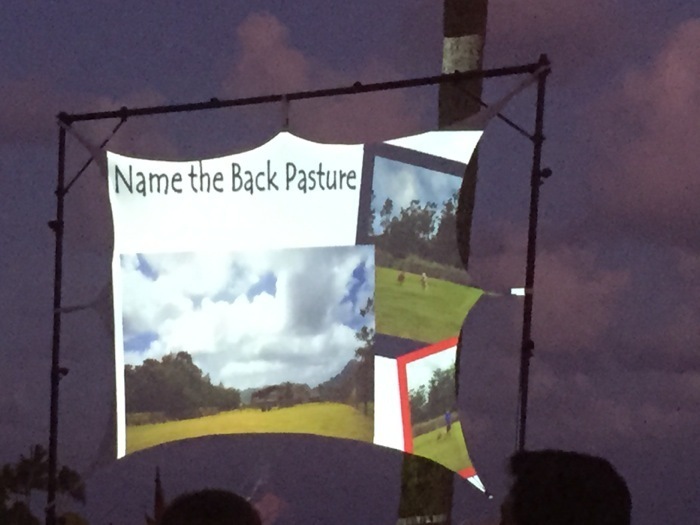 Some of the auction items were very clever and effective such as this one to put a section of the pasture in your name. 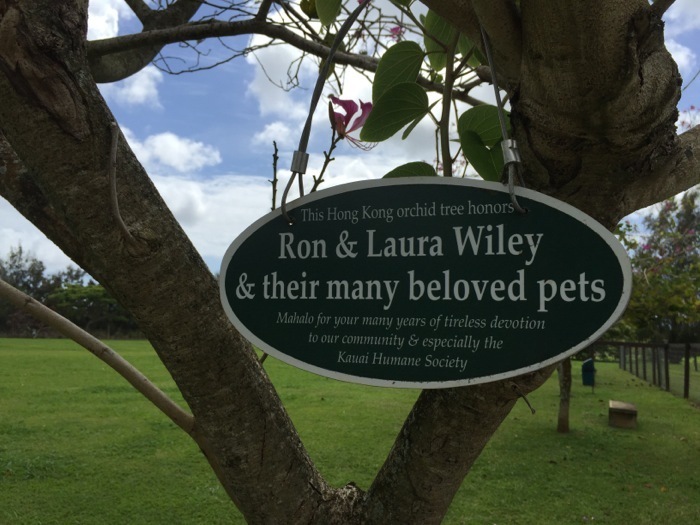 Ron Wiley, who MC’d the event and his lovely wife, Laura are long time supporters of the Humane Society. 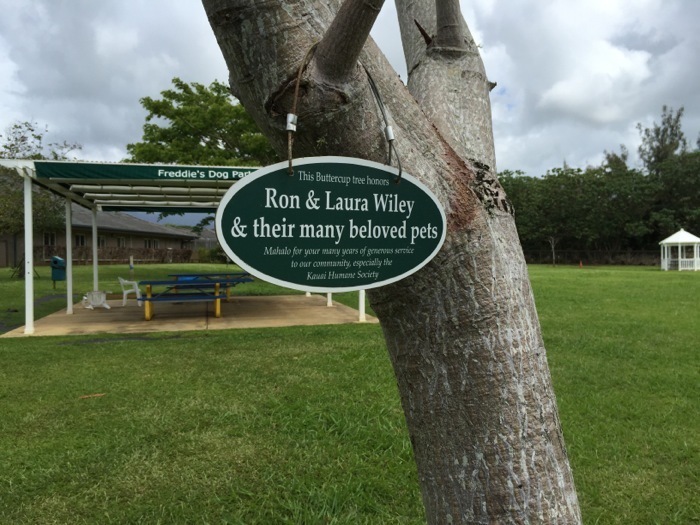 You can tell when you visit the Humane Society property because you can see their name here and there. 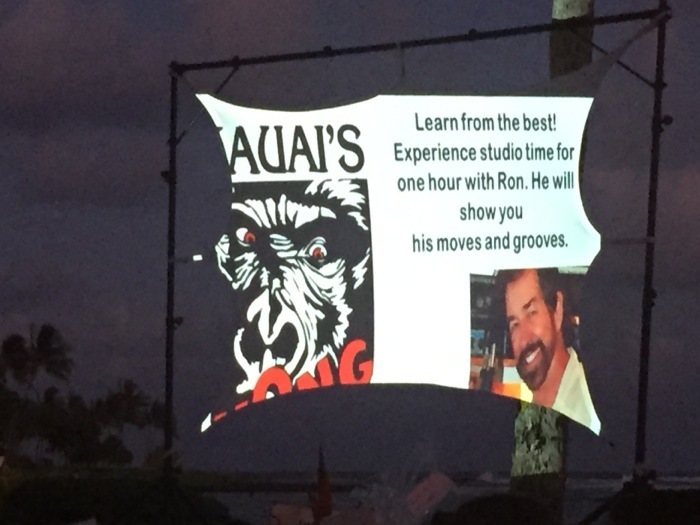 You can also tell when you listen to Ron Wiley’s show on Kong Radio (93.5). 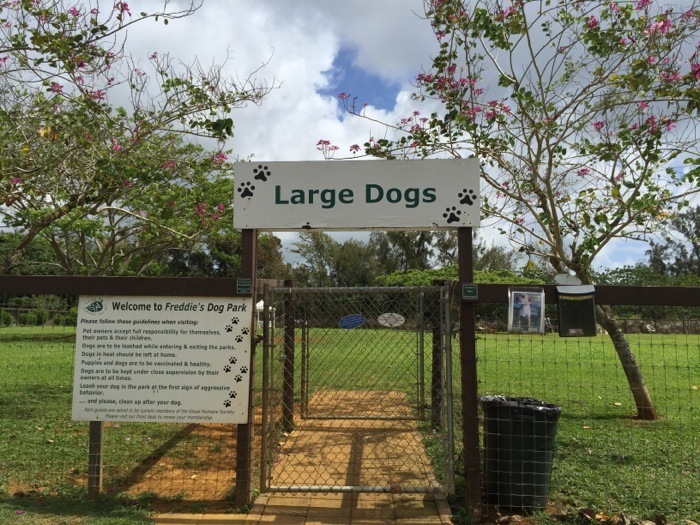 There is inevitably some reference to a dog. All lost dogs are reported to Ron and after scolding the owners for not having a proper chip or tag, he helps get the dog back to their owner on the air. 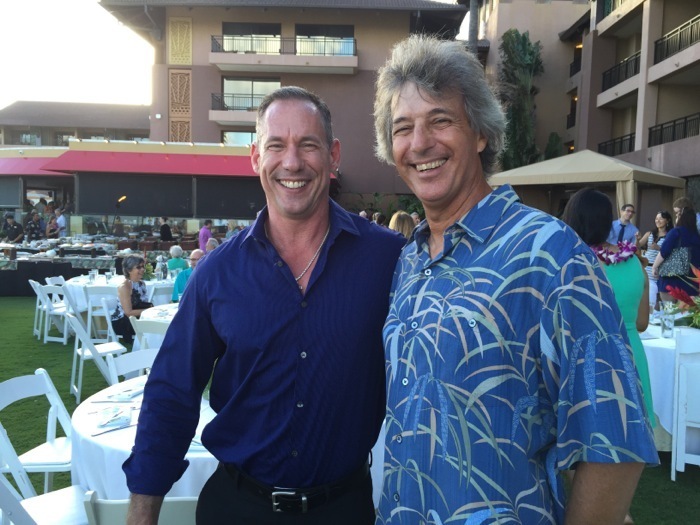 Aloha Vet, Dr. Scott Sims: @AlohaVetDrScott Deceased July 25, 2015 after a long battle with cancer. Celebration of Life to be held August 23rd. RSVP through Pegasus Foundation. 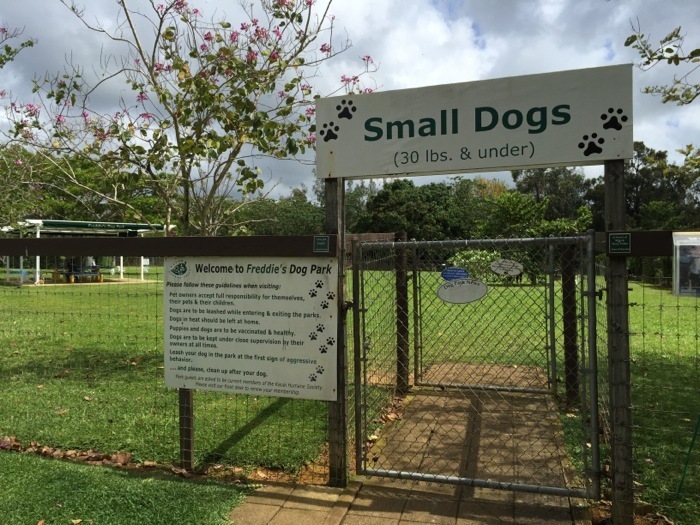 Need a dog fix on your Kauai vacation? 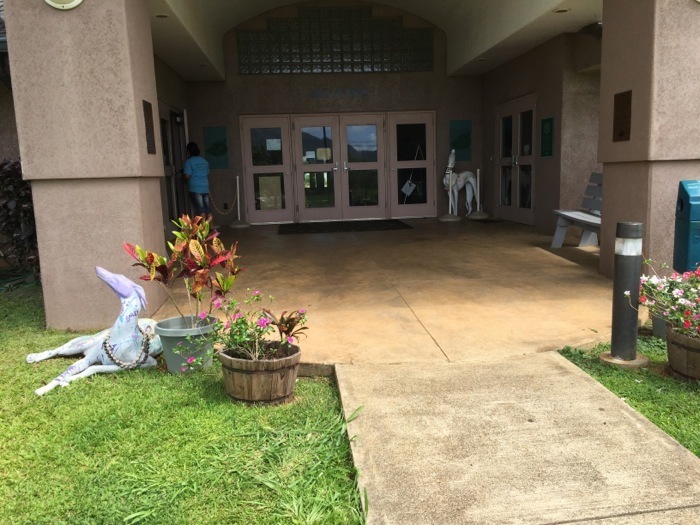 You can “check out” a Kauai Humane Society shelter dog for an outing. 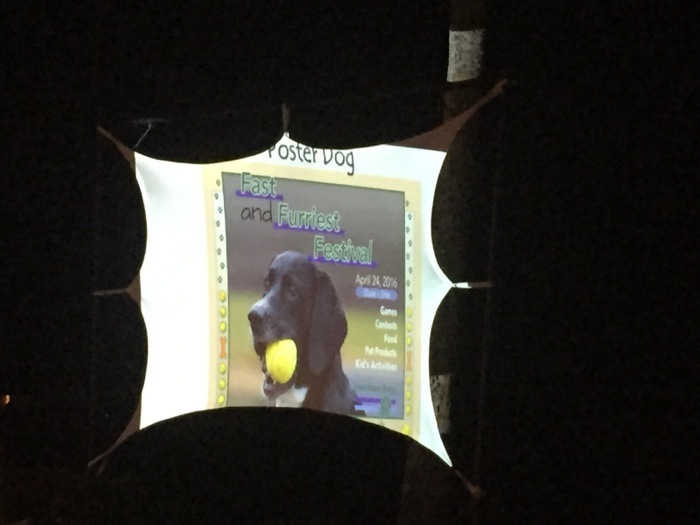 Don’t miss the 2016 Paws for Celebration fundraiser. 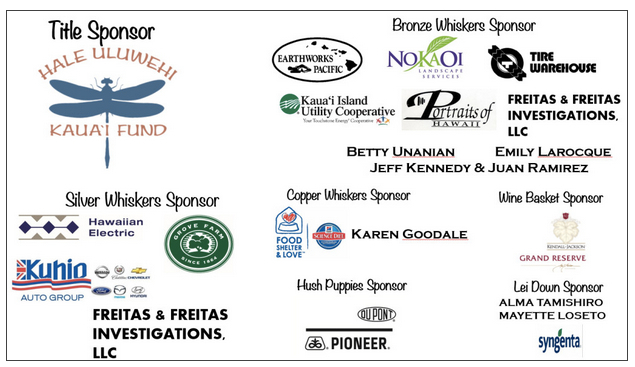 Mahalo to the Paws for Celebration sponsors, auction bidders and attendees. 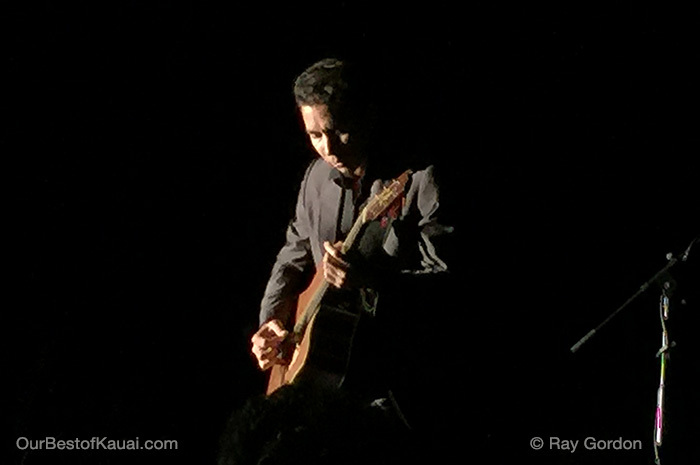 Slack-key virtuoso, Makana explains a bit about Hawaiian slack-key in these 2 videos. 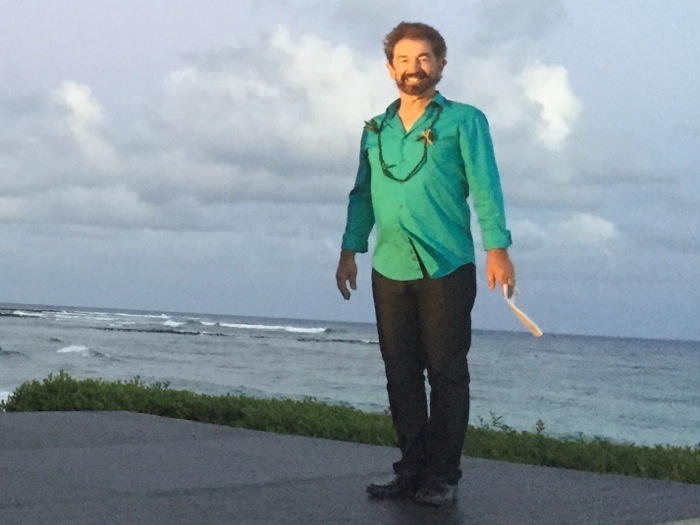 The first explains why he retunes his guitar before each song and the second explains more about about slack-key. 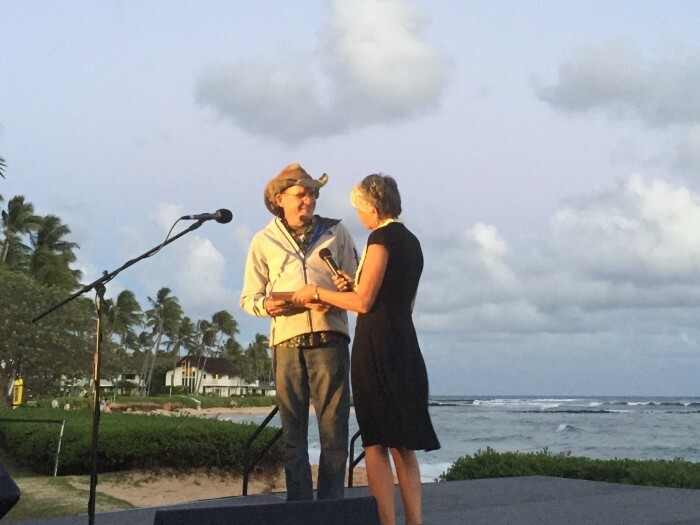 These are from Makana’s visit to Kauai during his Ripe Tour in February of 2014. Photos and videos by Linda Sherman unless noted otherwise. If you attended, or have something you would like to share, we would love to hear from you in the comments here.